Baabwaa & Wooliam (Candlewick Press, 2017) combines humor, friendship and literacy in one fabulous new picture book. It’s about two friend-sheeps — one who loves to read, and the other knits! Seeking adventure, they walk and walk until they encounter an actual “wolf in sheep’s clothing.” From Wooliam’s extensive reading, he knows what happens to innocent, unknowing sheep. The wolf stops in his tracks to listen to his “story.” But the sheep realize the wolf is illiterate, so they offer to teach him to read, and also knit him a new coat (his current one is quite shabby!) The three develop an unlikely friendship. This book is so funny and the illustrations are perfect. This is my #1 picture book for the Fall. Not to be missed! An adorable book with wonderful illustrations is On The Night of The Shooting Star (Candlewick Press, 2017). Bunny and Dog live on opposite sides of the fence. Every morning, Bunny looks through the fence at Dog, and Dog looks back at Bunny. But neither says hello. They go about their days peeking at each other. They wonder why neither has any friends — but they do have similar interests: reading, eating and playing. One night Bunny goes outside to watch the stars and he sees Dog looking at the moon. Suddenly, they both see a shooting star! They look at each other and smile. They go back to their homes, thinking about each other and the shooting star. Then, they go back to the fence, and each says: “I could be your friend.” And even though they may never see another shooting star, Bunny and Dog become exceptional friends sharing all their favorite activities. This is an engaging book of friendship with lively illustrations. This entry was posted in Uncategorized on October 17, 2017 by booksmartkids. Attention budding mid-21st century scientists, technologists, engineers and mathematicians! Introduce your toddler to STEM in a fun and engaging way. Stimulate their sense of wonder at the size and scope of the earth and universe. Just out from Harper Collins is “A Hundred Billion Trillion Stars” — a cleverly written picture book by Seth Fishman and gamely illustrated by Isabel Greenberg — intended to stimulate your child’s conception of big, enormous, humongous and incredible facts about the sky, forest, ocean, population and cities. Parents and children alike will share facts scale, distance, time, height, weight, gravity and estimation in an entertaining and witty way. Millions of minutes of fun await you! This entry was posted in Uncategorized on September 26, 2017 by booksmartkids. 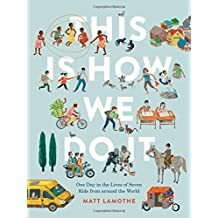 An impressive new picture book, “This is How We Do It (One Day in the Lives of Seven Kids from around the World“), (Chronicle, 5/17) follows the lives of kids from Italy, Iran, India, Japan, Peru, Uganda, and Russia for a single day. The book explores what they eat for breakfast, what they wear to school, where they live, who live with, how they play, and so on. While how they spend their days certainly varies, the cadence of their lives is more similar than different. The book concludes with photos of the actual families the book is based on, and a glossary. This is an amazing look into other kids’ lives and traditions. A true multicultural journey! This entry was posted in Uncategorized on July 5, 2017 by booksmartkids. 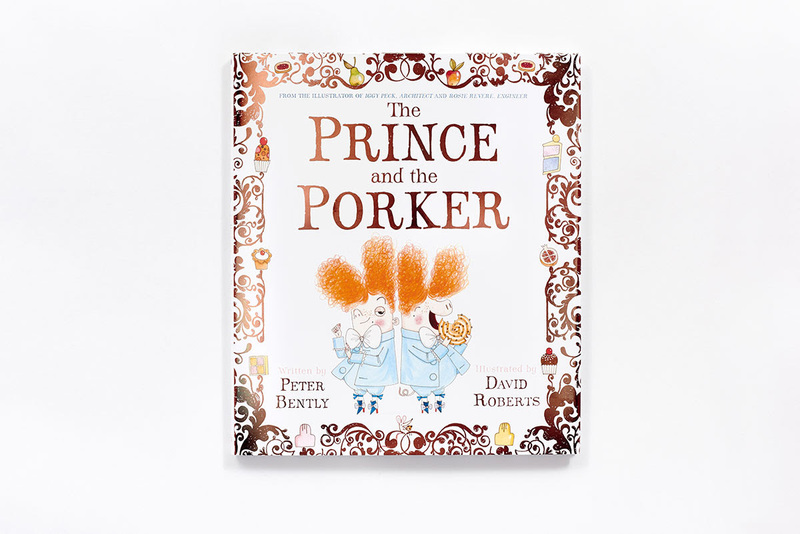 A very amusing reimagining of The Prince & the Pauper, “The Prince & the Porker” (Abrams, 3/17) is laugh-out-loud. Pignatius the pig who adores desserts ends up in the palace kitchen. He then makes his way into the princes room where he tries on his wig and clothing. The servants mistake him for the prince and he eats to his heart’s content. Then the real prince returns. He decides to let the pig stay and be his double. The prince gets out of an awful weekly event when he sends the pig in his place. The illustrations are fabulously funny! 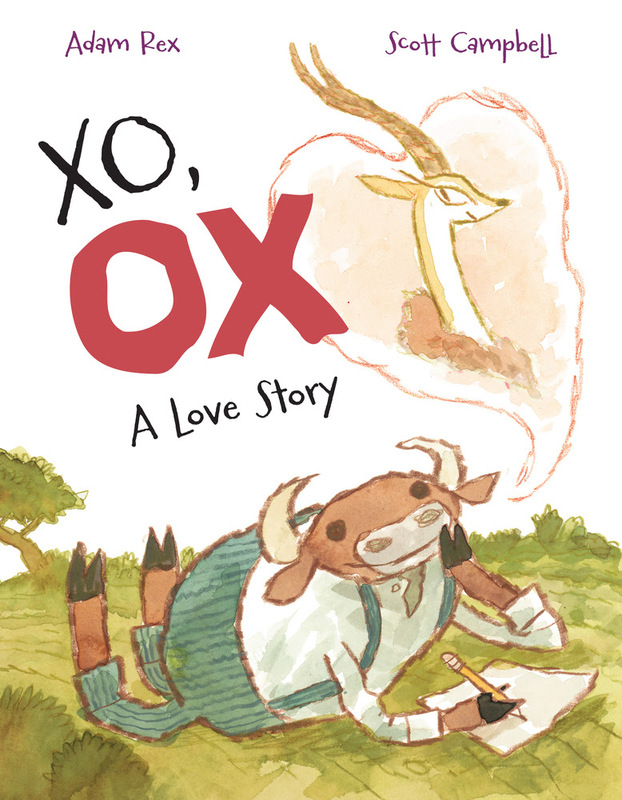 “XO, OX A Love Story,” (Roaring Brook Press, 1/17) is a delightful one-sided love story between a besotted ox and a graceful conceited gazelle. The letters back and forth are written with a wry sense of humor. The illustrations are hilarious. It’s hard to describe how funny this book is, but it will bring a smile and a chuckle to all kids and adults alike. The tale of “Raymond” (Candlewick Press, 5/17), “an ordinary dog, for a while, led an extraordinary life.” This dog loves his family, and they adore him back. One day when the family leaves the house for the day, Raymond ventures out into world. Within days, he begins to act “more like a human.” He spots “Douge” magazine at the newsstand and goes to interview for a job there. Raymond becomes a reporter and begins to excel at it. At night when he returns home to his family he writes on the computer and “he worked himself to the bone.” He becomes a newscaster on “Dog News.” Raymond eventually becomes overwhelmed and misses his old life. He finally returns home to live a “dog’s life.” The illustrations are simple and wonderfully humorous! This entry was posted in Uncategorized on June 29, 2017 by booksmartkids. “The Butterfly Garden,” (Big Picture Press, 4/17) is an exquisite journey of the monarch butterfly’s life cycle. At first, the pages are black and white, but as you lift the flaps, the most gorgeous colors lay underneath. This is at once a nature book, an art book, and an interactive book. It’s a standout!! 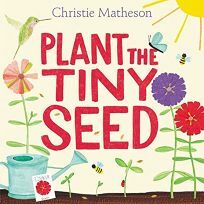 An uncomplicated Spring story, “Plant the Tiny Seed” (Greenwillow 1/17) is a toddler’s delight. “There’s magic in this tiny seed,” begins the book. With some sun, a bit of rain, and a little assistance from bees and birds, we navigate the simplicity of how a tiny seed grows into a beautiful flower. With a gentle nudge to press the seed, a wiggle of your fingers, and a clap of your hands, a magical bloom will appear. Delightfully, the book concludes with instructions on how to grow zinnias. A must-have book for its vibrant color and dynamic illustrations is “Hooray for Birds“(Candlewick Press, 3/17). The pink flamingo “stand very tall on just one leg,” and “run like an ostrich, go, go, go.” This oversize playful book will delight your toddlers over and over again! Another fabulous book from Lucy Cousins. This entry was posted in Uncategorized on May 4, 2017 by booksmartkids. “Everywhere Wonder” (Imprint, 2/17) begins with “I have a story to share —You never know what you might see or where your mind might take you. So keep your eyes wide open as you go.” We start on a journey with our narrator and guide, a young boy. He encourages us to explore the jungles of Brazil, the Arizona canyons, the pyramids in Egypt. After visiting the North Pole we return home to discover stories and beauty in everyday things. The illustrations are simple, yet colorful and engaging. This is a wonderful book for all ages that stretches the imagination and allows the reader to create their own stories and adventures. 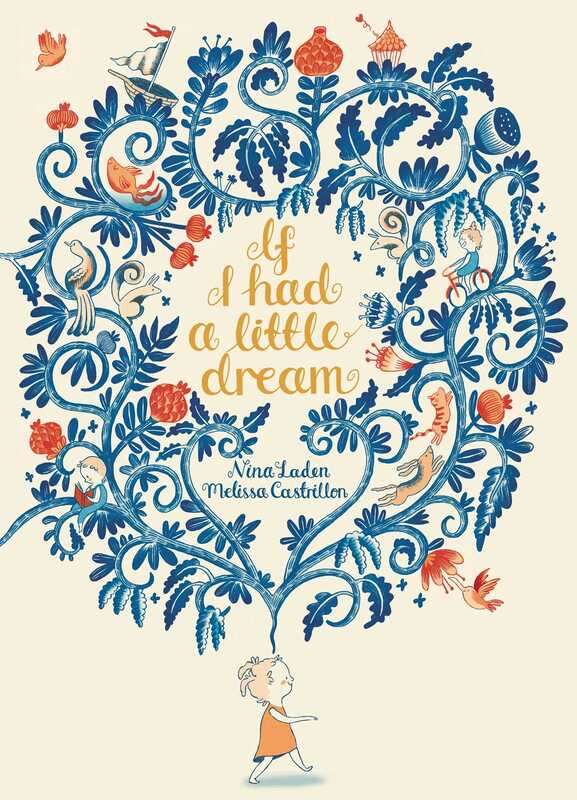 A lovely sweet new picture book “If I had a little Dream” (Simon & Schuster, 2/17) has an inspiring theme. The illustrations are whimsical and dreamlike. 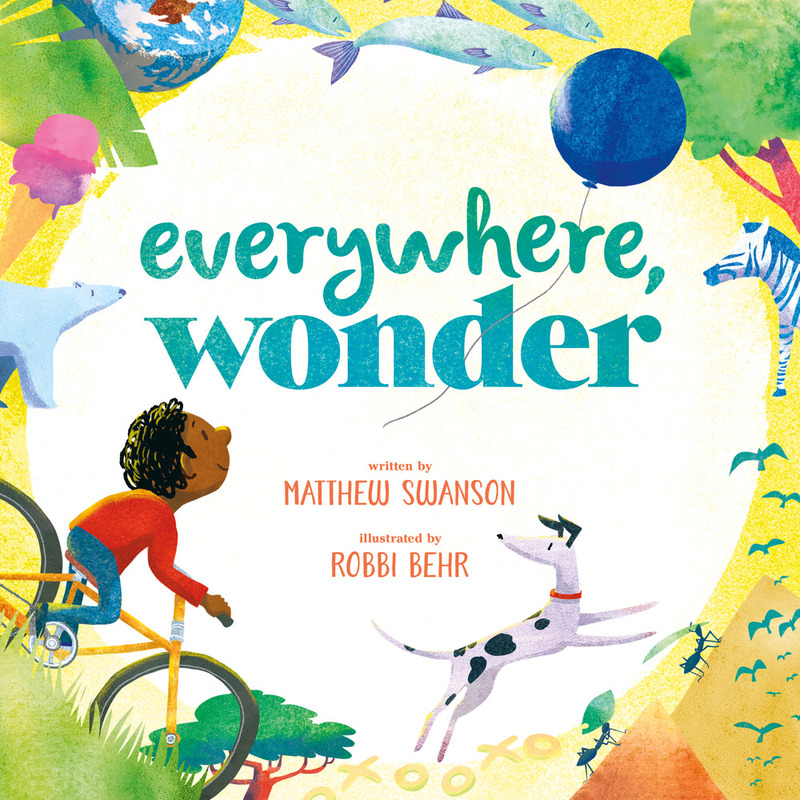 Like “Everywhere Wonder,” this book also suggests that the world is full of possibilities. Each page is a rhyme “If I had a little Book, I would name it Friend. Friend would go wherever I went our story would never end.” The enchanting drawings and exquisite words make this book a treasure to share. This entry was posted in Uncategorized on May 2, 2017 by booksmartkids. How delightful to hear from a former “BookSmart” employee who’s an actor (of course), now residing in London. He told me his wife’s first book will be published by Kensington Books. Beginning in London 2007, the story travels back to Sardinia, Italy 1952 to uncover a family’s secret. It’s a compelling story about a Sardinian woman,her devotion to her family, her loves and ambitions. Do not read this book if you’re hungry — the details and descriptions of the Italian food are tantalizing and mouth watering! It’s a great debut novel! “Under a Sardinian Sky” will be published on April 25, 2017. This entry was posted in Uncategorized on January 25, 2017 by booksmartkids.